Hi everyone i think I should close down this blog someday. Haha I've been backdating about a lot of things in my life perhaps? :) And guess what, it's been like a week since i'm not using the laptop. I've been replying mails via my phone and hence..... I haven't been surfing the net and etc.. I dont even log on to facebook to check anything unless i receive a notification. Haha.... I sounded like an old grandma. Oh wells, just to let you girls know, LASTBUSRIDE WILL BE AT THE SCAPE FLEA FROM 1-8PM THIS SATURDAY, 23RD APRIL 2011! (I supposed if someone will pass by this blog and read this...) HAHAHA. We'll be there selling many exclusive items! :) THIS TIME ROUND EVEN RINGS! 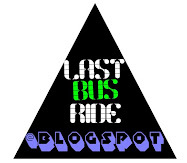 And also, do support http://lastbusride.livejournal.com!